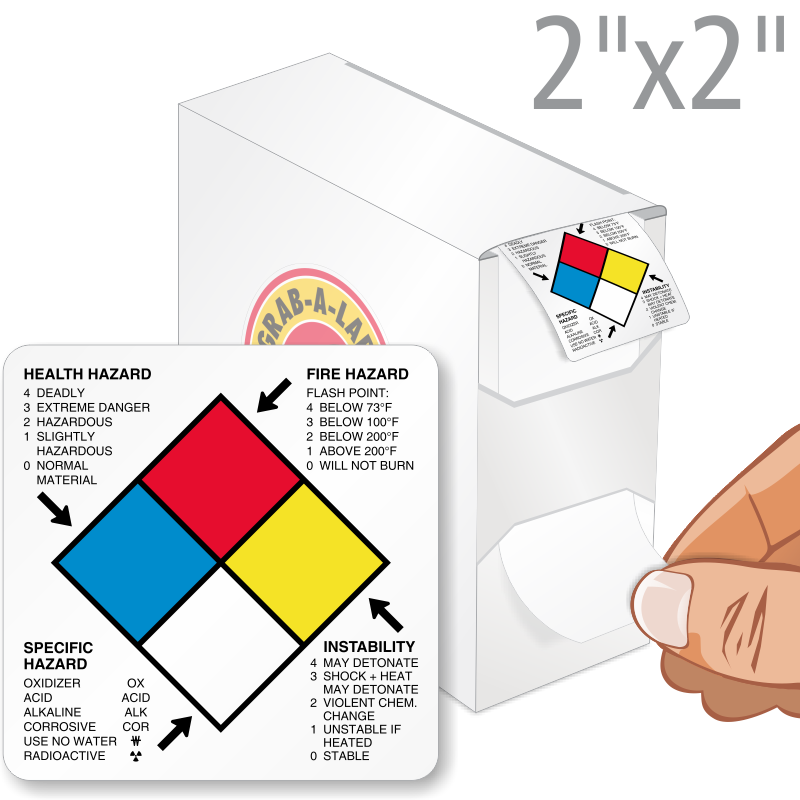 Almost any time you put a hazardous material into a container, you are required by OSHA to label that container. • Find the widest assortment of write-on and pre-printed NFPA labels for hazardous chemicals along with customizable NFPA label templates. Our suite of NFPA labels and stickers have been used by hundreds of firms to increase understanding of the hazard and increase safety compliance. • When selecting a design, you will need to assess the sophistication, training and patience of the exposed workers. The NFPA diamond itself, for example, is ideal for firemen. NFPA signs convey, at a glance, the emergency information that a fireman needs in case of a fire. Other workers, however, may need to be educated on the chronic and target organ effects of exposure. For them, a built-in key with check-off boxes is helpful. 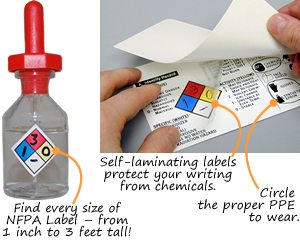 • Our NFPA write-on labels come in several forms: paper, plastic and self-laminating plastic. Many of our more popular designs are sold in a handy dispenser box. 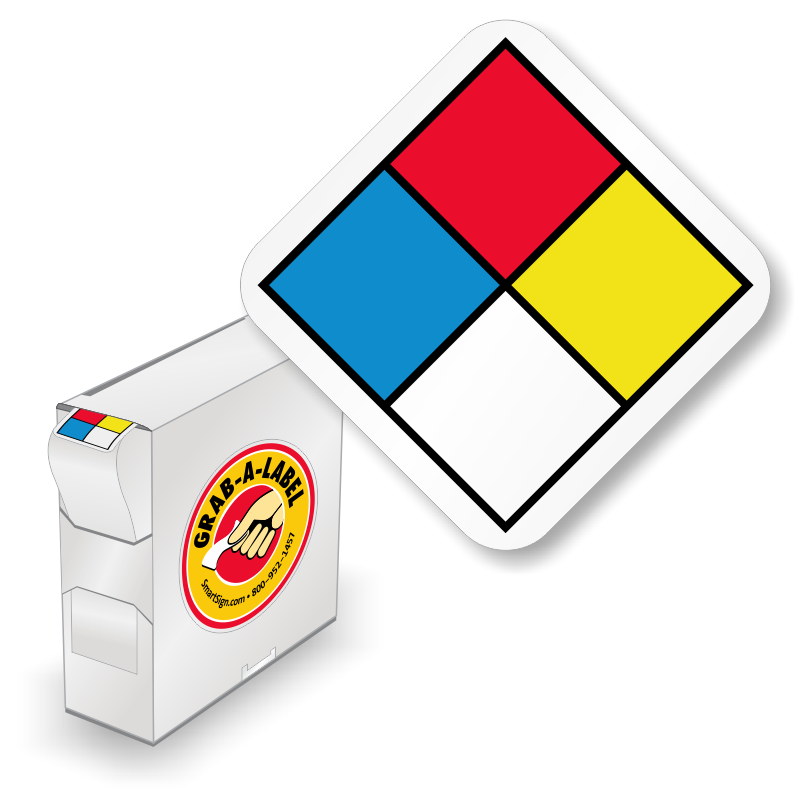 • Design your own NFPA label. Our online wizard makes it easy to fill in a template, proof your label and send it to the factory for professional printing. 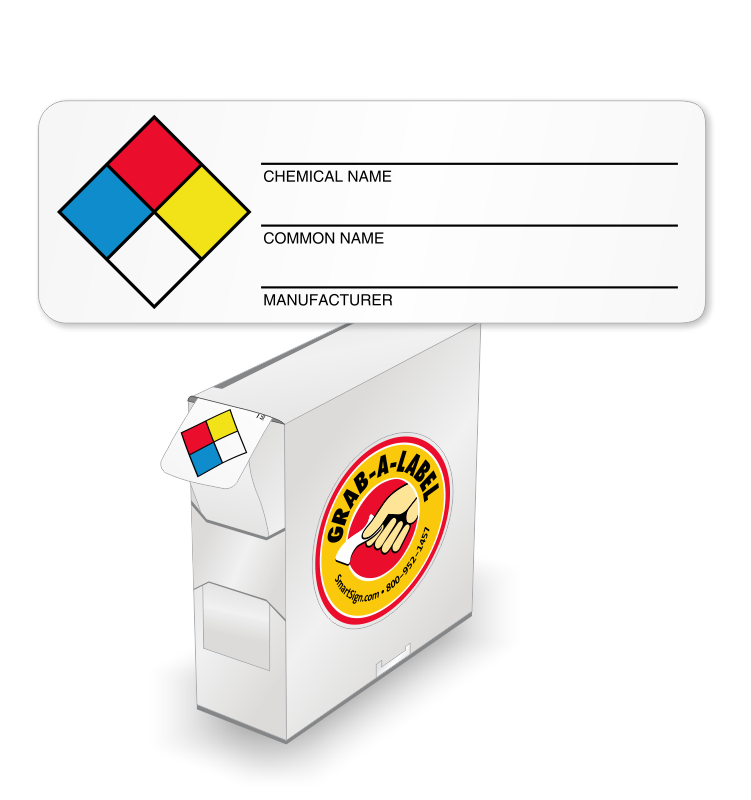 • Select from hundreds of pre-printed NFPA Chemical Labels with chemical title. These labels have compliant details about chemical properties, hazards, safety procedures and more. • Write in your chemicals and ratings. Great for metal chemical cabinets. • Make your own sign from one of our kits. Or, design your own NFPA placard online and have it professionally printed by the factory. As Low As 3¢ ! As Low As 2¢ ! As Low As 2¢ per Label! As Low As 35¢ per Label! As Low As 7¢ per Label! The right size for small secondary container labeling compliance. Works great, never need another sign again due to its versatility. These work well for labeling our smaller containers for hand spraying. Thank you.